Welcome to our Library Blog 2018. The purpose of this blog is to keep you informed about our Library and all the cool new books we have. If you loved a book or a site please leave a comment to encourage others to read. From the New York Times bestselling author of Tell Me Three Things comes a story about two struggling teenagers who find an unexpected connection just when they need it most. 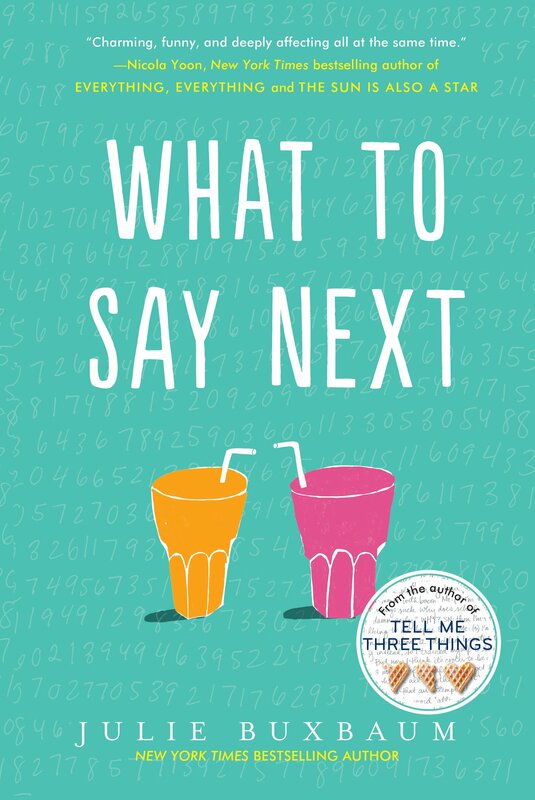 Nicola Yoon, the bestselling author of Everything, Everything, calls it "charming, funny, and deeply affecting." Sometimes a new perspective is all that is needed to make sense of the world. KIT: I don't know why I decide not to sit with Annie and Violet at lunch. It feels like no one here gets what I'm going through. How could they? I don't even understand. DAVID: In the 622 days I've attended Mapleview High, Kit Lowell is the first person to sit at my lunch table. I mean, I've never once sat with someone until now. "So your dad is dead," I say to Kit, because this is a fact I've recently learned about her. When an unlikely friendship is sparked between relatively popular Kit Lowell and socially isolated David Drucker, everyone is surprised, most of all Kit and David. Kit appreciates David's blunt honesty--in fact, she finds it bizarrely refreshing. David welcomes Kit's attention and her inquisitive nature. When she asks for his help figuring out the how and why of her dad's tragic car accident, David is all in. But neither of them can predict what they'll find. Can their friendship survive the truth? E BOOKS- Get them here!!! I am Thunder and I Wont Keep Quiet!